With the rainy season fast approaching, people from Haiti dread the new onslaught of cholera. One of the country’s worst disasters hit in January 2010, when a 7.0 earthquake immediately killed some 300,000 Haitians and left another 1.5 million homeless. Soon after, the magnitude of the cholera epidemic became evident in hundreds of thousands of lives. Cholera is a diarrhoeal disease caused by infection of the intestine with the bacterium Vibrio cholerae. It causes severe dehydration and can be fatal if left untreated. The fight against cholera is expensive. To operate a 200-bed Cholera Treatment Center (CTC) costs $1 million for just a 3-month period. For that amount of money, 45 nurses, 9 doctors, and 80 support staff work with patients. As costly as treatment is, prevention is simple. Access to clean filtered drinking water, scrupulous hand washing, and education can alter the trajectory of a community. A $50 Water for Life Charity water filter can provide 500 gallons a day of clean water for up to ten years. Considering most families in Haiti are accustomed to using less than 5 gallons of water daily, you can see how vast the effects of even one new filter can be. 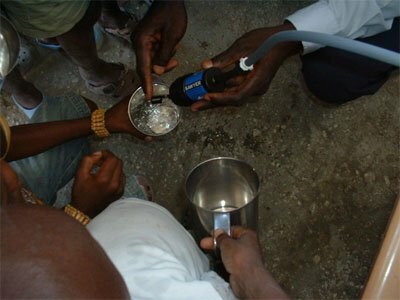 To make a huge impact in saving lives as well as money, the people of Haiti need drinking water void of the cholera virus. Cholera thrives in certain environments, such as those in Haiti, where there are no restrooms or safe drinking water. 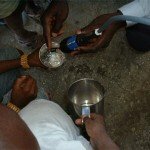 However, Haitians also deal with other waterborne diseases. Even temporary shelters set up to help are without proper sanitation. Every day, people have no choice but to defecate in plastic bags or use streams or the ground as bathrooms. Hope for the Nations (HFTN) is an outstanding mission organization that works with pastors in Haiti. By working together, the needs of orphans are met through provisions, such as shelter, food, and clothing. One of HFTN’s partnerships is with Help Organization for the Poorest Children in Haiti. In 2008, a pastor and his wife started the organization using personal funds. At that time, more than 50 orphans received support. 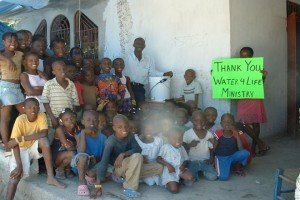 On a trip to Haiti in March of 2010, which was one of HFTN’s final trips to that country, Water for Life Charity supplied the team with numerous water filters. As a result, people had clean and safe drinking water free of life-threatening bacteria, including Cholera. 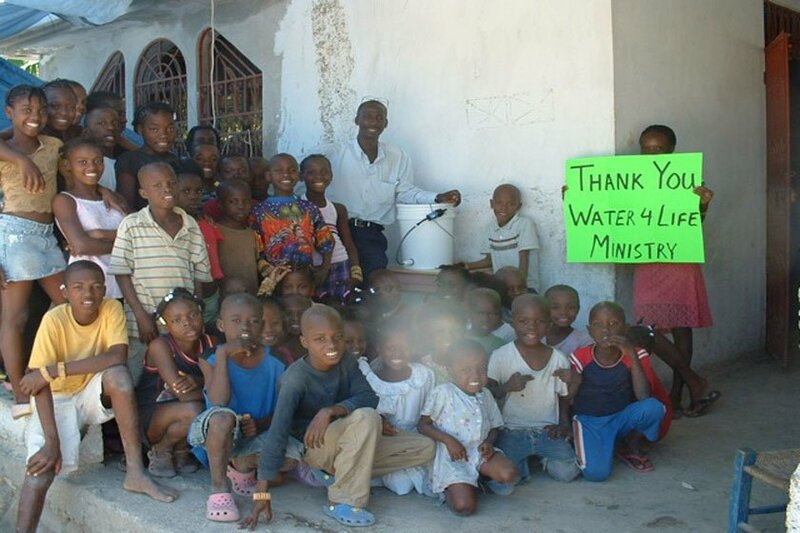 Every day, these water filters help both the adults and children of Haiti. Being able to provide the pastors of two orphanages with water filters for innocent children was a huge blessing and will never be forgotten.